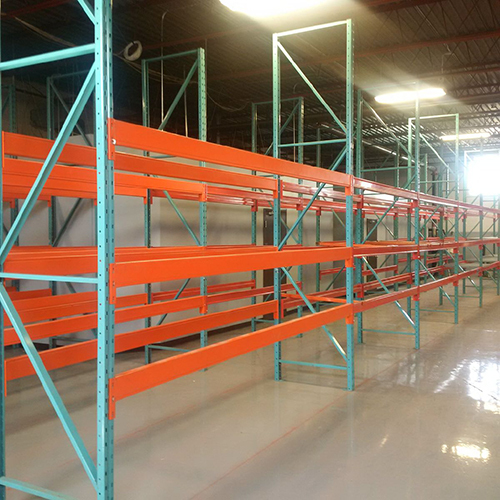 Used Pallet Rack – Canadian Rack Inc.
Canadian Rack inventories a large supply of used industrial pallet rack; our more popular brands are Redi Rack and Triple A profiles. We also carry Interlake, Mastor Rack, Cubic Rack, Centennial, and other brands. Give us a call to see if any of our current inventory fits your needs. Issues such as structural component integrity, load capacities, proper welds and the gauge of the material are frequently overlooked by the buyer of used equipment. Used material sold by Canadian Rack is carefully evaluated prior to being offered for sale.